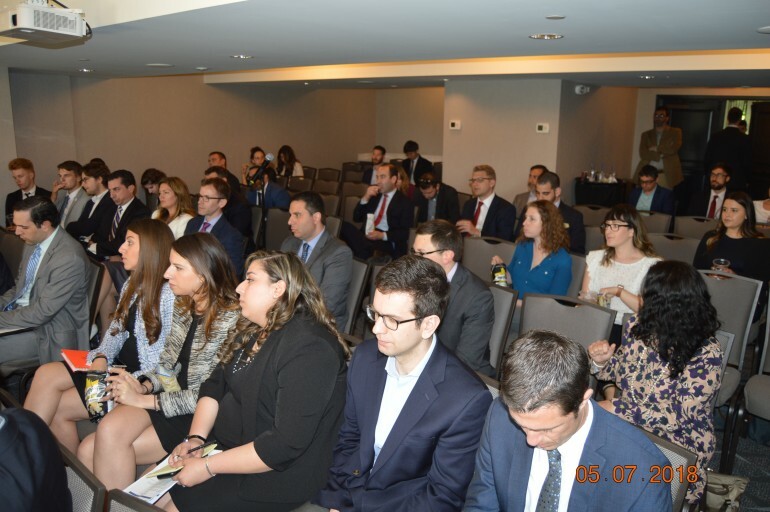 A group of 100 HALC (Hellenic American Leadership Council) and AJC (American Jewish Committee) activists from all the United States gathered on Monday in Washington for a two day conference on the occasion of the 5th Anniversary of the Congressional Hellenic Israeli Alliance (CHIA) – a congressional caucus that promotes closer ties between Greece, Cyprus and Israel with the United States. 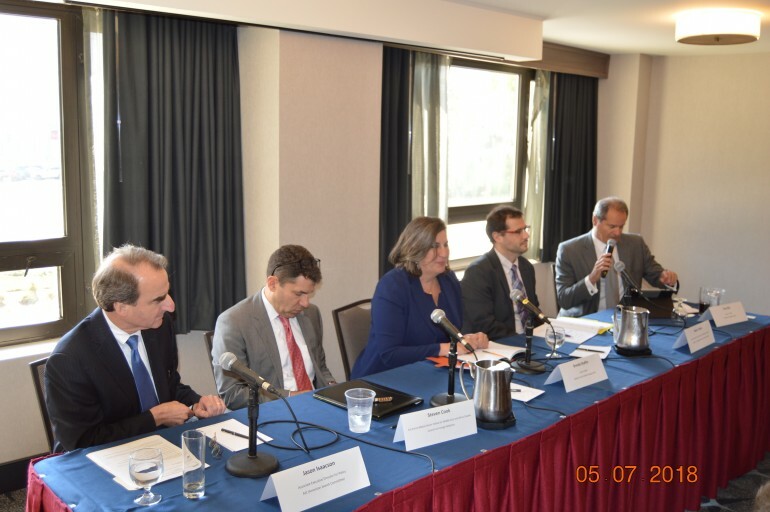 On Monday, the members participated in two panel discussions that offered an in depth look at the issues of the Eastern Mediterranean Region. 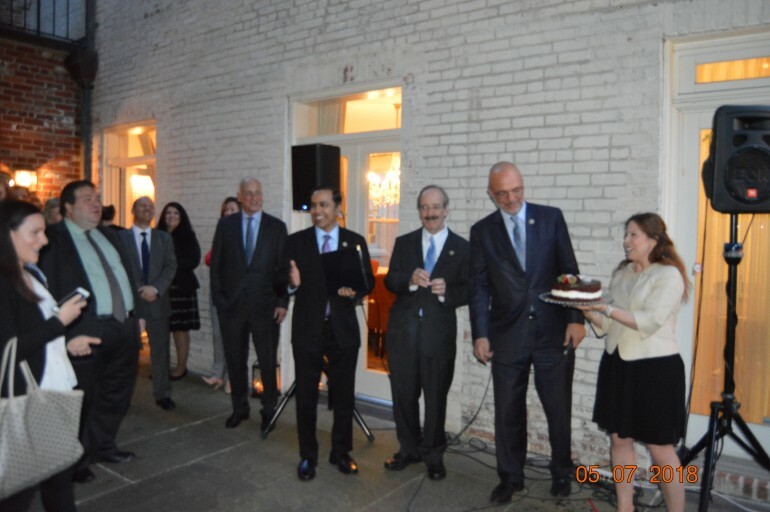 In the evening, the Ambassador of Greece to the United States Haris Lalacos hosted a reception in celebration of the 5th anniversary of CHIA. 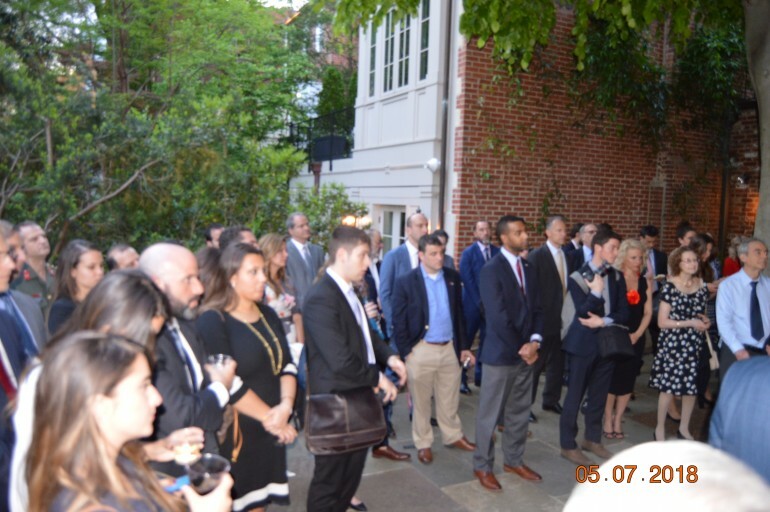 Deputy Assistant Secretary of State Jonathan Cohen, State Department and Congressional Staffers along with leaders of Hellenic and Jewish American organizations participated. 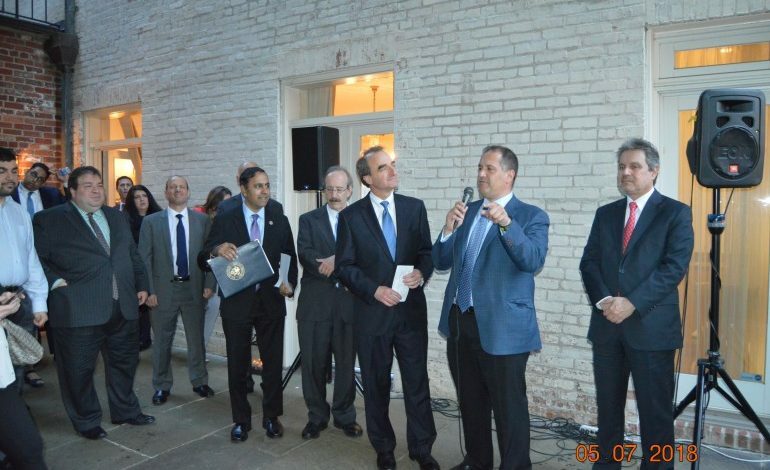 HALC Executive Director Endy Zemenides in his introduction welcomed Congressmen Ted Deutch, Eliot Engel and Raja Krishnamoorthi, Brad Schneider the ambassadors of Greece, the Deputy Chiefs of Mission of Cyprus and Israel and all the members of HALC and AJC participating at the two day conference. 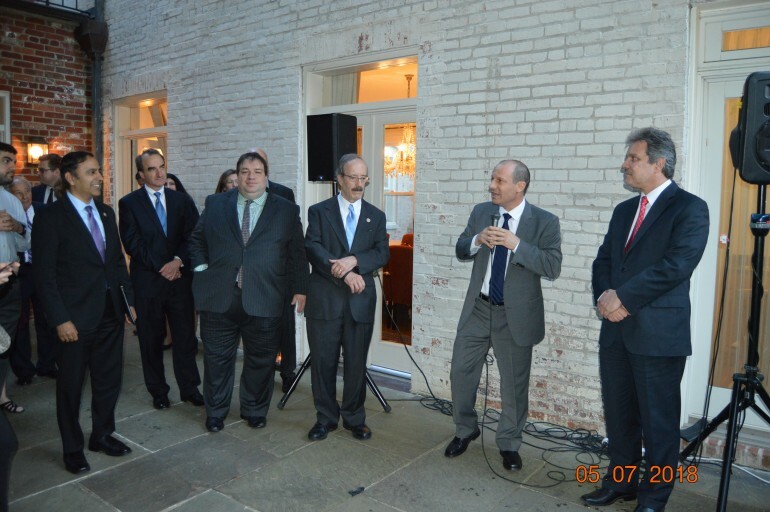 Ambassador Lalacos thanked HALC and AJC for organizing the event and the members of Congress participating in CHIA. 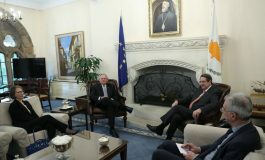 “It’s very valuable for all countries and certainly Greece to have this cooperation and in particular this alliance on the Hill, where we join forces to promote and enhance our joint activities in the eastern part of the Mediterranean, where Greece, Israel, the Republic of Cyprus and of course the United States and other friends get together and doing our best jointly to provide security and stability. This is the best service that we can provide for the general good”. Ambassador Lalacos pointed out the high level summit taking place today in Nicosia between the President of Cyprus and the Prime Ministers of Greece and Israel. “We are looking forward to that but we know that meetings and summits only reflect the depth of the cooperation that encompasses so many areas and different spheres of activity and will continue to do so”. The Israeli Deputy Chief of Mission Reuven Azar, reminding the audience of the level of the relations a couple of decades ago said “good relationships take time to flourish and they are flourishing now”. “It is because we are seeking stability, we have common values and it is because we have common interests in the region. What has changed is that the world around us collapsed, but we are still there. We have to survive and cooperate. If in the past people had to choose whether to be friends of Israel or to the Arabs, today actually by becoming more friendly with Israel you are gaining popularity with the Arab world. It’s a win-win situation for everybody”. Cypriot Charge d’ affairs Andreas Nicolaides praised HALC and AJC for promoting the interests of the three countries that are anchors of stability in a volatile region, during a volatile time we are living in. He also commended their efforts with Congress to get the message across. “Greece, Cyprus and Israel are pillars of stability. Three countries with people sharing common values and a way of thinking about the future”. Andreas Nicolaides spoke about the tri-lateral mechanism established by the three countries and is tried with other countries of the region, with an aim to expand the length of stability in the region. He also pointed out the dramatic improvement of the bilateral relations between Cyprus – Israel. AJC’s Associate Executive Director Jason Isaacson mentioned the very close relationship that was developed between his organization and HALC, in the past five years. “And this is only the beginning. HALC is the most pro-Israel Hellenic organization and I know AJC is the pro-Hellenic Jewish organization”, pointing out that the two organizations are working very close together on common issues. Isaacson also expressed pride on the accomplishments of CHIA and he reminded the audience of what was expressed in an article co-authored five years ago by CHIA’s co-chairmen, Congressmen Gus Bilirakis and Ted Deutch, in announcing the partnership of the two communities and the three countries. “We agreed with what was written five years ago and we agree today”, he concluded. H called CHIA’s co-chairman Gus Bilirakis “the heart and soul of the Caucus” praising their cooperating that made CHIA an important organization in Washington and the foreign policy scene. Commenting on the results of the Lebanese elections that showed gains for Hezbollah, he reminded that along with Congressman Bilirakis he introduced a resolution that has passed unanimously, making clear why there is no distinction between the military and the political wings of Hezbollah. “It is a terrorist organization and needs to be treated that way”. Congressman Deutch highlighted that cooperation at all levels between the three CHIA countries is at all time high. Congressman Deutch also stressed the need for all working together to counter Turkey’s aggressive behavior and thanked the members of HALC and AJC for pushing members of Congress to support restrictions on the sale of F-35s to Turkey. “The fact is that Turkey today is not Turkey that signed the F-35 deal. If you look at Erdogan’s ongoing crackdown on free press and civil society and his aggression towards Cyprus, we realize how important it is to consider our own interest and goals. We cannot simply continue to point Turkey as a NATO ally and allow it having the same special relationship U.S. has with other major NATO allies. Turkey has got to demonstrate that is a responsible partner; a responsible actor in the region that values democracy and security.”. In concluding, Congressman Deutch said that strengthening the relationship of the United States with Israel, Cyprus and Greece has become a very important part of the congressional work. Congressman Elliot Engel, ranking member of the House Foreign Affairs Committee, reminded the audience that he has been involved with the issues of Greece and Cyprus since he first became a member of Congress. Engel expressed hope that the very close relationship of these countries will become even closer with the natural gas discoveries. Engel also thanked AJC and HALC for helping putting this effort together. “Be sure that we at the Foreign Affairs Committee we will continue to work and follow Congressmen Deutch and Bilirakis lead and make sure that Israel, Greece, Cyprus and the United States are going to continue to working together and that justice prevails.”. Congressman Raja Krishnamoorthi had special praises for Endy Zemenides for putting the efforts of the two communities together and reminded that he has joined CHIA in the first five days as a member of Congress. 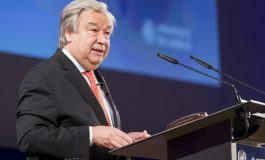 He pointed out the importance of countries sharing common interests and common values and having commitment to freedom and democracy to join forces. 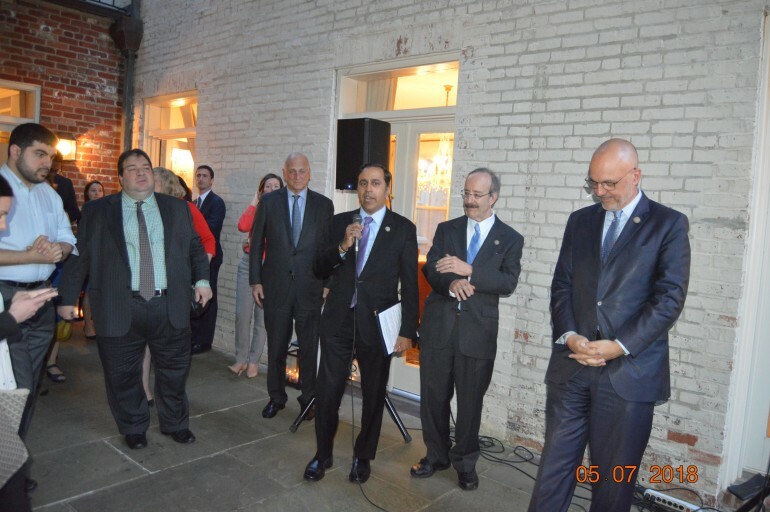 “I am very proud to have sponsored the End the Cyprus Arms Embargo Act”, Congressman Krishnamoorthi said. 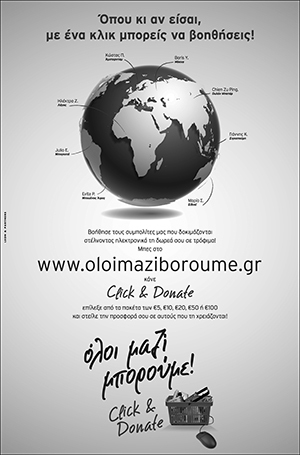 “We have to recognize that the quart-lateral alliance of the US, Cyprus, Israel and Greece can only grow and strengthen if we end this arms embargo. It is the right thing to do”. The first panel was entitled “Human Rights, Religious Freedom, and Stability in the Eastern Mediterranean”, with panelists: Aram Hamparian, Executive Director, the Armenian National Committee of America; Elizabeth Hittos, Chief of Staff for Congressman Gus Bilirakis; and David Phillips, Director of the Program on Peace-building and Rights, Columbia University Institute for the Study of Human Rights. The second panel was entitled “Democracy and Security in the Eastern Mediterranean”. The panelists were Steven Cook, Eni Enrico Mattei Senior Fellow for Middle East and Africa Studies, Council on Foreign Relations; Jason Isaacson, Associate Executive Director for Policy, AJC (American Jewish Committee); Brenda Shaffer, Senior Fellow, the Atlantic Council Global Energy Center; Nicos Tsafos, an Energy and National Security expert and President of Enalytica. Both panels were moderated by Tom Ellis, Editor in Chief of English Kathimerini. In addition, there was a presentation on “Joint Advocacy in Pursuit of Shared Values” in preparation of Tuesday’s Congressional advocacy on Capitol Hill. Julie Rayman, Director of Political Outreach of the AJC and Endy Zemenides, Executive Director of HALC made the presentations.